Sometimes it happens that a person permanently deletes the word document then it becomes too difficult to retrieve that file back. 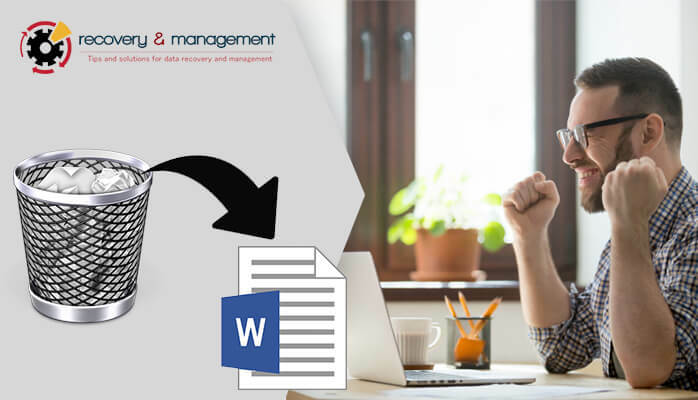 So in this article I am going to discuss the various causes of losing a word file and the various methods through which you can easily find and restore lost word document. There are five different ways through which you can recover deleted word file but first of you must know the reason why this often happens. Usage of Command Prompt for Deleting Files. Permanent Deletion from Recycle Bin. External Virus Attack on the word File. So there are many reasons where it is difficult to find a word file which is missing from the computer. I will not waste your time discussing in detail about the issue, let’s come straight to the point. I will tell you the various methods through which you can find missing word document. I am going to tell you five different ways which you can apply in order to recover and find missing word document on your computer system. In the Search Box Search for the file by its Name. If you are able to locate the file then Right-Click on it and Click on Restore. Once you restore the file you can see your document on the desktop or on the location where I was saved earlier. You can only apply this method if your file is found in Recycle Bin otherwise go to the next method. Click on Open under the File tab present on the top left corner. Select Save under the Word option. In the Auto Recover file, Location box Browse the file where it was saved earlier. Now Click on OK and restore lost word document. You can also search the entire system by searching .wbk files if you don’t remember the location of that document where it was previously stored. 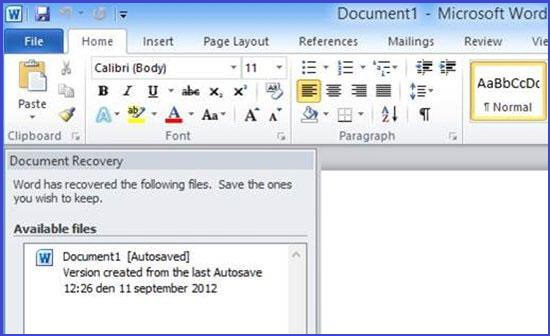 If the autosave setting is ON then you can restore word file from the Recent Documents option. The abrupt system shutdown or forceful closure of the file also leads to deletion of the word file. So you can restore missing word file through recent documents. Go to Recent option under File Tab. At the bottom of the menu click on Recover Unsaved Documents. You can also search directly .asd files on the windows search option if you don’t have the above option in your MS word version. Go to My Computers and Press F10. Make sure all your files are unhidden. In windows search type .tmp files. Inspect thoroughly and look for the missing word document. You can find your file there. If you are unable to find lost word document then you can go for a third party professional tool which will surely help you out. The Word File Recovery Tool by Sysinfo is the best software which can restore your missing word file and saves a lot of time. If you think that there is a risk of data loss then don’t worry because this tool restore all data without any deletion of content. Repair Severely Corrupted Word Document. Restores texts, attachments, hyperlinks, and images from a word file. If you are a non-technical user then too you can use the tool as it has an easy to use Graphical User Interface. Well, it is time to wrap up things. You have many options to make a choice that either you can go with the manual methods or the professional recovery tool. The manual methods are helpful but I can’t assure you that they will restore lost word document without data loss. There are some chances that you can lose some of the data. But on the other hand, the professional tool will find all the data of a word file without a loss of single content. So it is your decision that does you want fast recovery or time taking recovery. I hope there is enough information in this article which can deal with your problem.